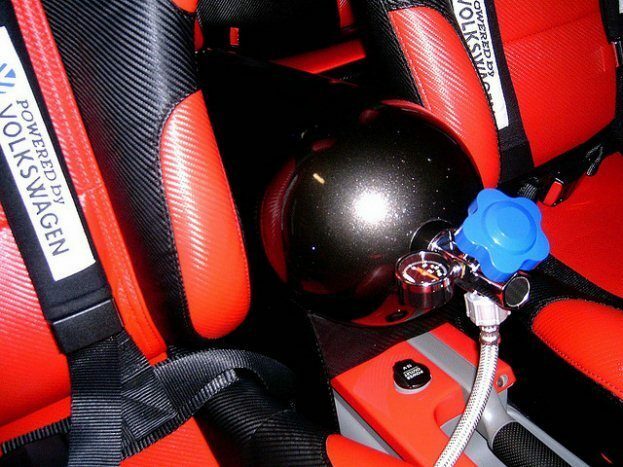 If you want to upgrade your car into a supercar, then adding nitrous oxide seems to be the way to go. But rather than going by hearsay, you should probably get familiar with what the hell it is, how it can benefit your motor and, most of all, is it what you need? Well it’s a gas, or a chemical or something. Do you really care what it actually is? Either way, here’s the facts. Your engine, just like your body, needs oxygen to work. The more oxygen it gets, the more efficiently it burns fuel. Nitrous releases oxygen as it burns, so as long as there’s more fuel there, there’s more power. Plus the nitrous also cools as it works, creating even more oxygen. Almost too much oxygen. The nitrous comes in small compressed bottles stored in the car and sent to your engine via lines that you control from the seat of your Honda Civic or similar. Fascinating fact: the drag racing term ‘funny cars’ comes from the fact that this is the same nitrous oxide used in the dentist’s office, known as ‘laughing gas’. Though the vehicular nitrous has some weird stuff added to it and so shouldn’t be huffed. Not that you would ever do anything like that. In the old days, only ‘dry’ nitrous kits were available, which just squirted nitrous into your system using the fuel that was already available in the car. Then the scientists took over. Or possibly maverick mechanics working in petrol stations under the cover of darkness. They came up with the more advanced ‘wet’ kits which added nitrous and fuel together, thus producing a crazy drag racing with a male model in downtown Tokyo sort of situation. This magical alchemy of fuel and Nos either happens in or around the intake manifold or else id applied straight into the cylinders, depending on the injection system you use. Hey, can you think of a better way to give your beautiful car a quick, happy burst of power? 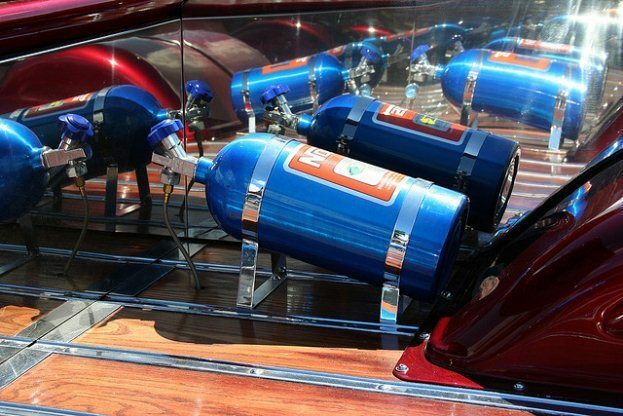 Nitrous Oxide is fairly cheap, in the old cash versus horsepower equation we all love. The kits are pretty easy to install and you can easily switch the whole thing off if you don’t fancy it. I’m so happy you asked! You’ll send away for your Nos kit which should include your compressed bottle of nitrous, the lines to send it to the engine, the injectors, solenoids and all the nuts and switches you need to put it together. Plus detailed handy dandy instructions on how it should be installed. CarID.com has a huge range of nitrous oxide kits to choose from. Make sure your bottles are mounted securely. As with all compressed things, they can blow up if knocked around. So you have your lovely cylinder containing pressurized liquid nitrous oxide in your boot or other car-based hidey-hole. Using the magical properties of the hose it is connected to an electric solenoid valve. The valve lives under the bonnet and is turned on and off by a throttle switch available in a variety of colours. A ‘T’ piece sends fuel to the valve, which is attached to the fuel delivery line, this is triggered by the same switch. Then this wonderful, almost royal, marriage of gas and fuel are pinged to an injector mounted in the inlet tract (no, me neither). All this can be adjusted by metering jets installed in your solenoids. Besides looking like a bit of an idiot as your gaudily colored Vauxhall Viva burns up and down the high street, you could right gunk up your engine if it isn’t quite fast or furious enough. Be sure your car is up to the stresses and strain of all that extra power. If your vehicle suddenly starts to sound like an Irish Wolfhound coughing up a Malteser, then stop what you’re doing immediately and seek mechanical help. Excessive Nos-ing could cause possible damage to your engine, gearbox and clutch and compressed gas of any variety can always be dangerous, thanks to it’s explosive qualities. Consider paying a little extra and picking up a nitrous gauge to keep an eye on how much “magical speed juice” is getting distributed. And don’t forget your tank top! 7 Comments on "Nitrous: Everything You Need to Know"
Tnx for sharing this… Now I know what is what about nitrous. Just have to upgrade my car to sustain using NOS..
can you run nitrous on stock engines? You can, but it’s not recommended. Normal stock engines don’t last very long if using Nitrous. 100 shot on a well build engine high dallor crank racing pistons and rods, tested gas and the nitrous solenoid plus fuel pressure everything is working good but scared to push the button everthing install ready to go should i check anything else. Hi Terry, sounds like you’ve got it covered but if you’re having doubts you should listen to your instinct – take it to a mechanic that knows how nitrous works and have it inspected before pushing the button. need info as to uninstalling nitrous from car please. Hi Maggie, thanks for the comment. This is something that I would recommend you talk to a knowledgable mechanic about, especially one at an aftermarket tuning shop. 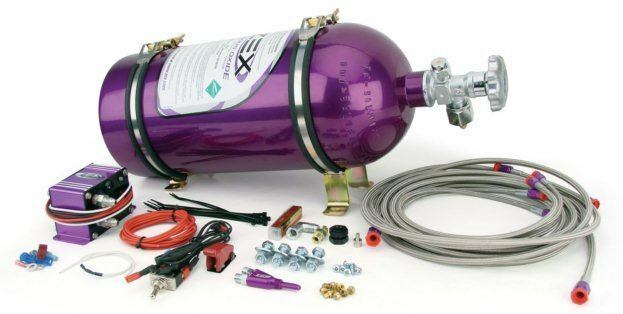 Nitrous can be dangerous to install or remove, so it’s not something I would recommend doing yourself. Best of luck!